Washburn Woodline Series guitars feature Grand Auditorium body styles with solid cedar tops and are available as standard acoustic or acoustic/electric with cutaway versions. Cedar generally produces a darker tone and a more compressed volume range than spruce making it great for fingerpickers and those with a lighter touch. It also offers a tonal alternative when recording alone or together with a spruce topped guitar. 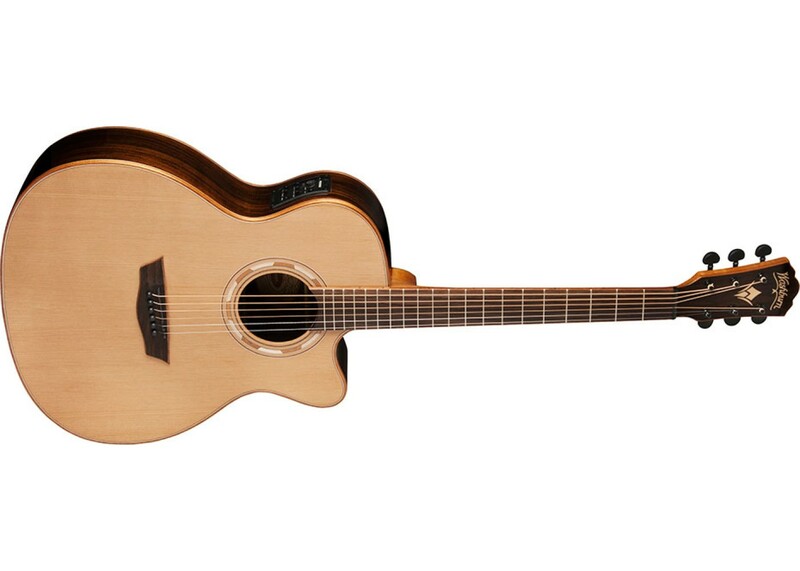 The WLG26SCE is a Grand Auditorium style acoustic/electric guitar with a venetian cutaway for superior upper fret access. The guitar features a book matched solid Cedar top, rosewood back and sides, mahogany/maple bound body and headstock. The mahogany neck has a rosewood fingerboard devoid of inlays and in tandem with the mahogany bound rosewood bridge adds an aura of understated elegance. A maple/mahogany/maple strip splits the book matched rosewood back as well. Therosewood capped headstock features a pearl inlaid Washburn logo and stylized W as well as Washburn branded die cast tuners with ebonite buttons. The gorgeous rosette is made of alternating maple and mahogany. 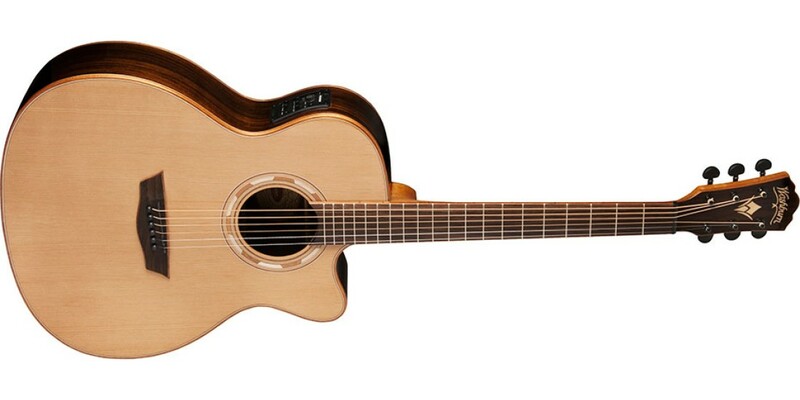 The WLG26SCE is a fantastic sounding acoustic guitar on its own but the addition of premium Fishman electronics makes for an outstanding stage performance guitar. The Fishman Presys+ is an integrated tuner/preamp system for versatile amplified tonal shaping.